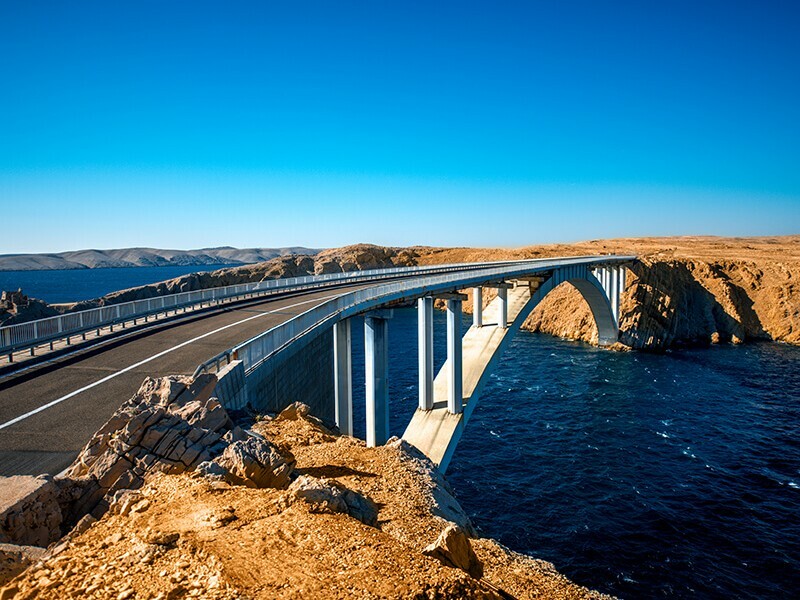 The island of Pag is the southernmost of the Kvarner islands and the fifth largest island in the Adriatic Sea. The island is known for its poor vegetable coverage on some of its parts, which is often compared to the lunar surface. 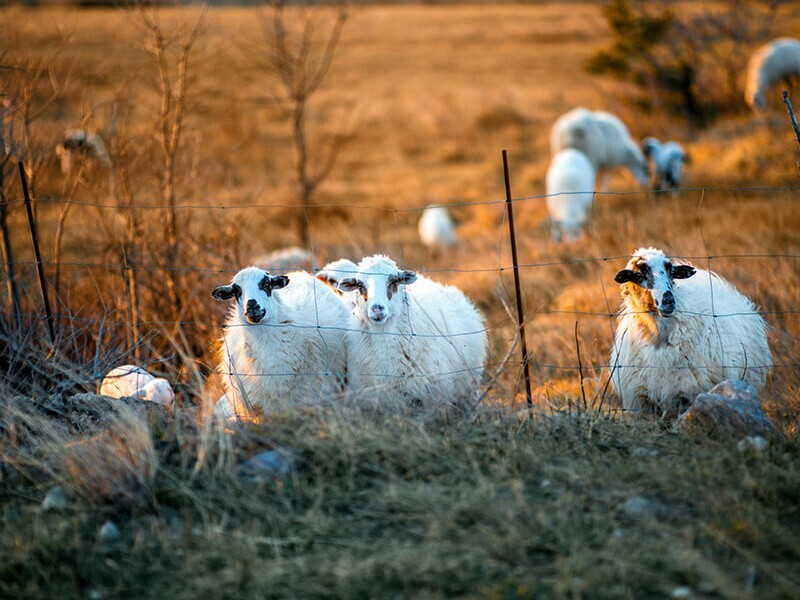 Rocky landscape with only a few stalks of aromatic herbs that sheep graze creates a unique impression. Because of the position of the island under the Velebit mountain, from which strong winds blow troughout the year, the island of Pag is almost entirely covered with salt from the Velebit channel. 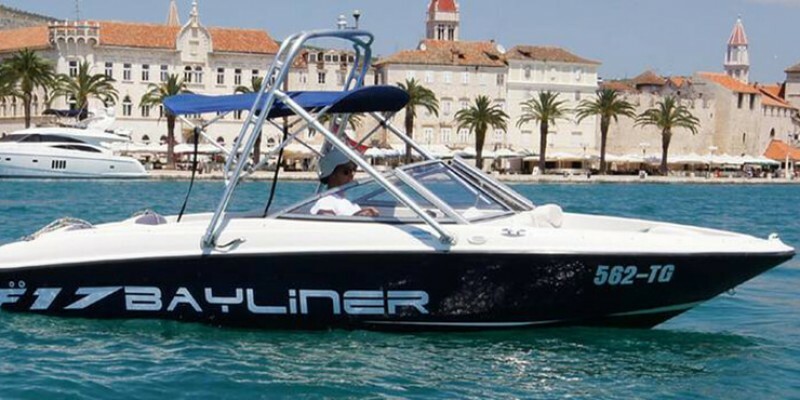 The island can be reached by a 340m long bridge on the south side from Zadar, or by ferry in Žigljen on the north of the island from the port Prizna. 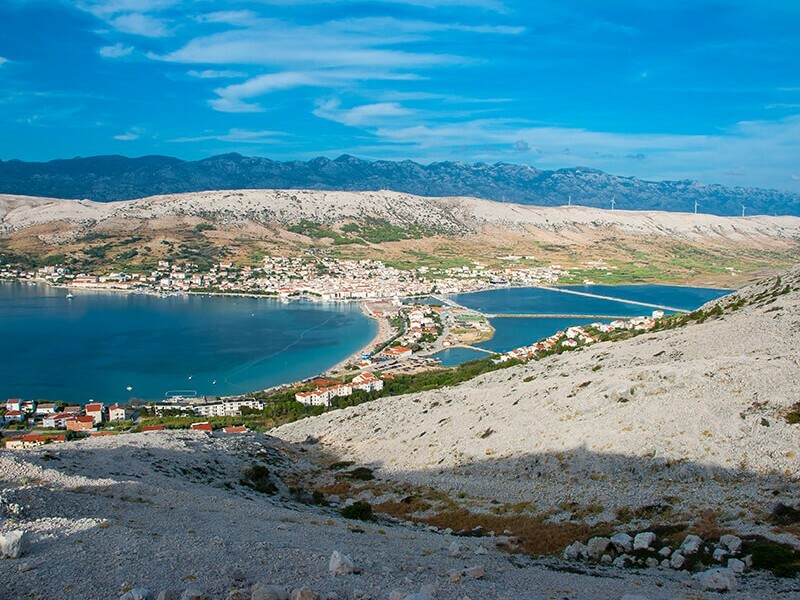 Pag is special for its small towns and villages which are located in favorable cove surrounded by fertile fields. It is also known for its cheese, olive oil, lace, and a handful of other island traditions. Novalja is situated on the northwestern part of the island, towards the open sea, with a view towards Mali Lošinj, Silba and Olib. 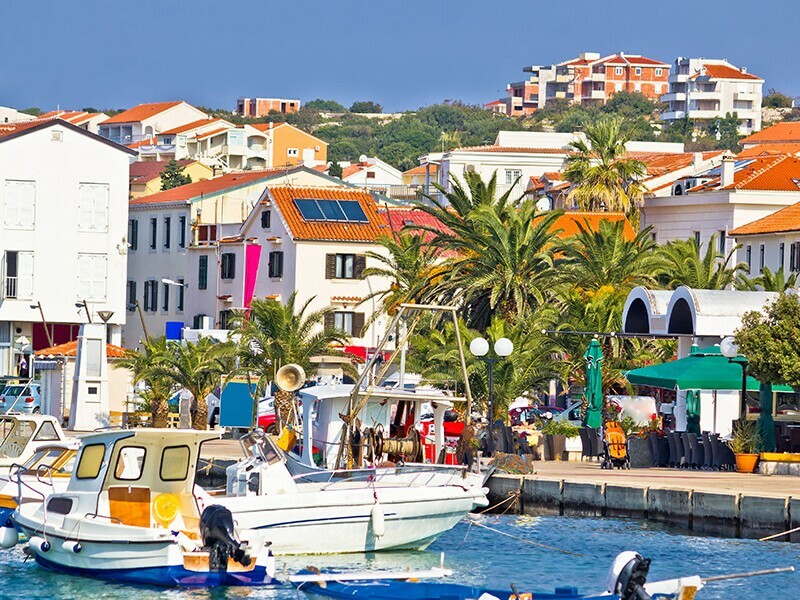 Novalja has its roots in ancient Roman times, when it was a safe haven on the waterway eastern Adriatic, which can be explored in city museum. 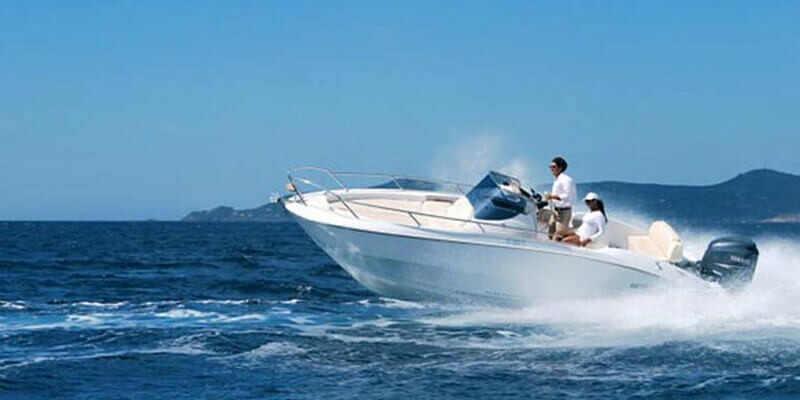 Today Novalja is a tourist place with lot of facilities. In the immediate vicinity are some of the most beautiful beaches on the island. 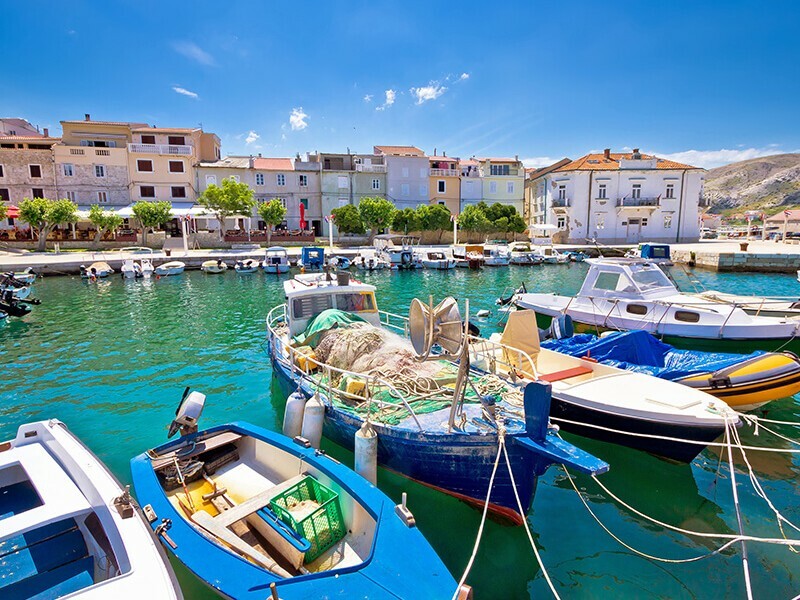 Located just north of Novalja, Stara Novalja has kept the spirit of seaside village, where you can enjoy walking along landscaped paths beside the sea. Here lies one of the most beautiful beaches of the Adriatic, Planjka. 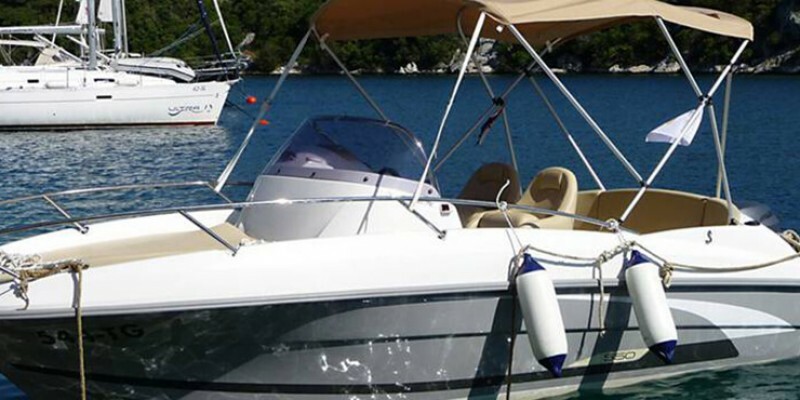 Stara Novalja is also ideal for diving enthusiasts. 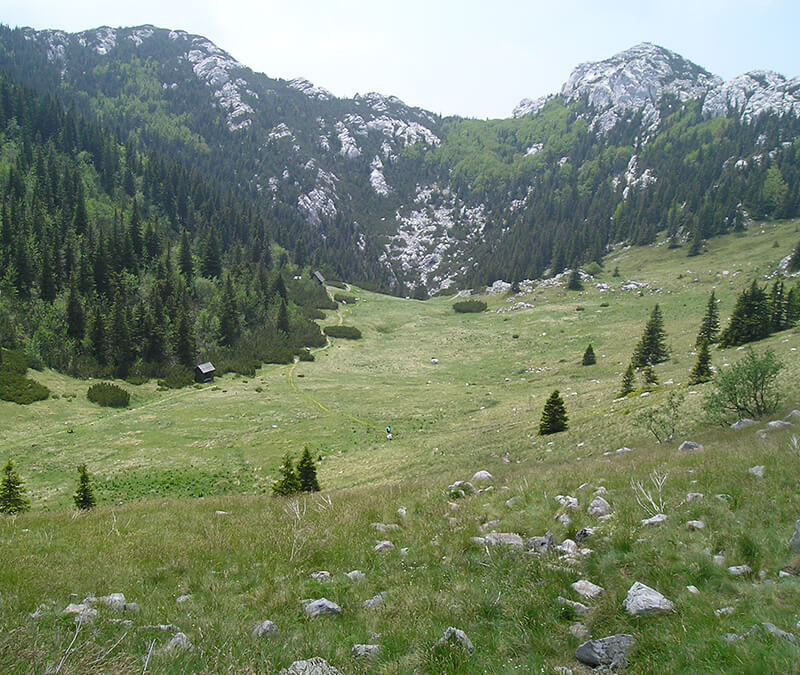 Gajac is a tourist resort located only a few kilometers south of the center. 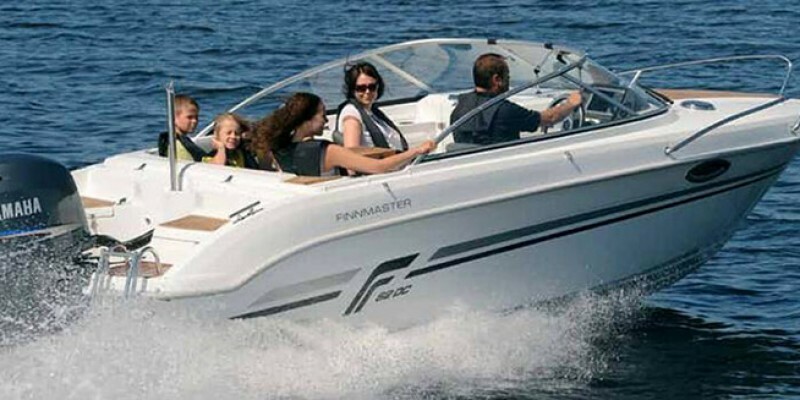 Due to a number of tourist attractions it’s an ideal destination for all those who love socializing. Numerous restaurants, located by the beach Brančevica, will meet everyone’s taste. Try the original specialties of Pag, only a few meters from the crystal clear sea. Zrće is a long pebble beach located near Novalja and Gajac, about 2 kilometres from the town’s center. It is one of over 100 Blue Flag beaches in Croatia, having been given the award in 2003. The beach is a well-known Croatian summer destination for partygoers, with several all-hours discotheques and beach bars operating during summer months. It regularly features gigs by internationally known house and trance DJs at the peak of the Croatian summer season in July and August. 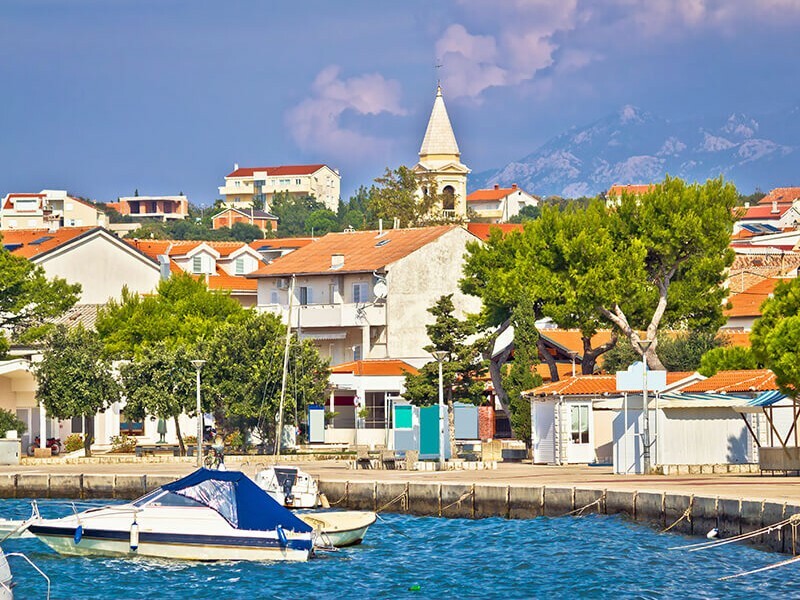 Zrće is particularly popular among young club goers, while other pebble and sand beaches on the island are more family-oriented. 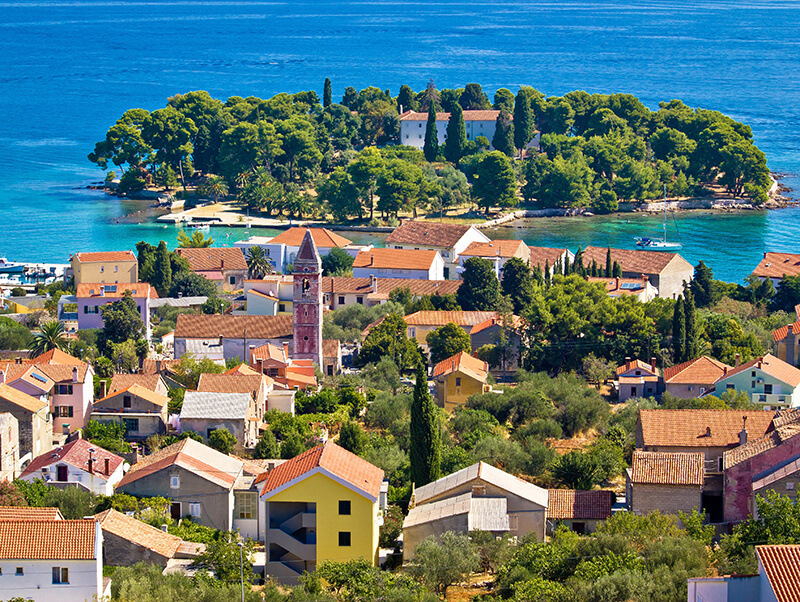 In this quiet seaside village lies one of the most beautiful marinas on the Adriatic. 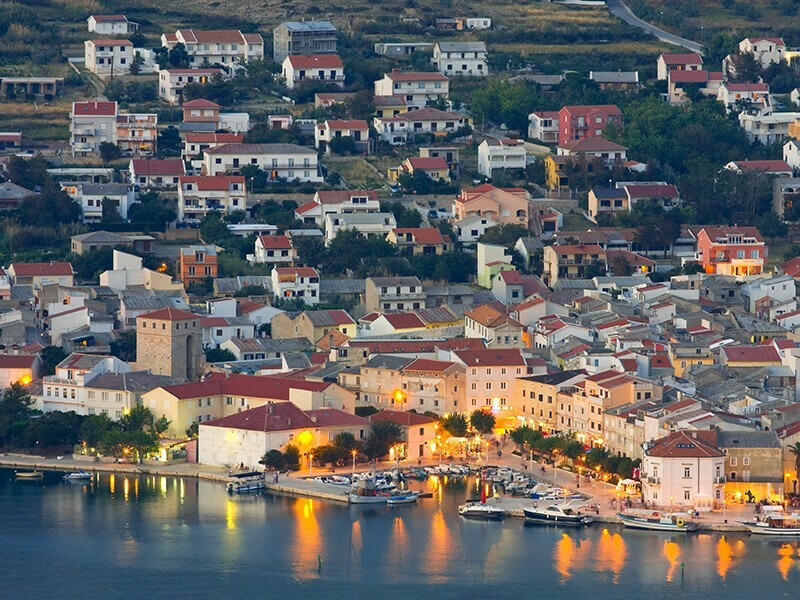 Once a fishermen village, today Šimuni are a favorite destination for peaceful holiday lovers. Šimuni are still feeling the tradition of olive growing and fishing, so we definitely recommend tasting some of the fish dishes. The town of Pag is the largest town on the island. The present location of the city is slightly displaced from the old town, whose ruins can be visited just south of present-day urban center. The old town is settled on the top of the hill from which you can enjoy the view of the island of Pag and the salt pans. 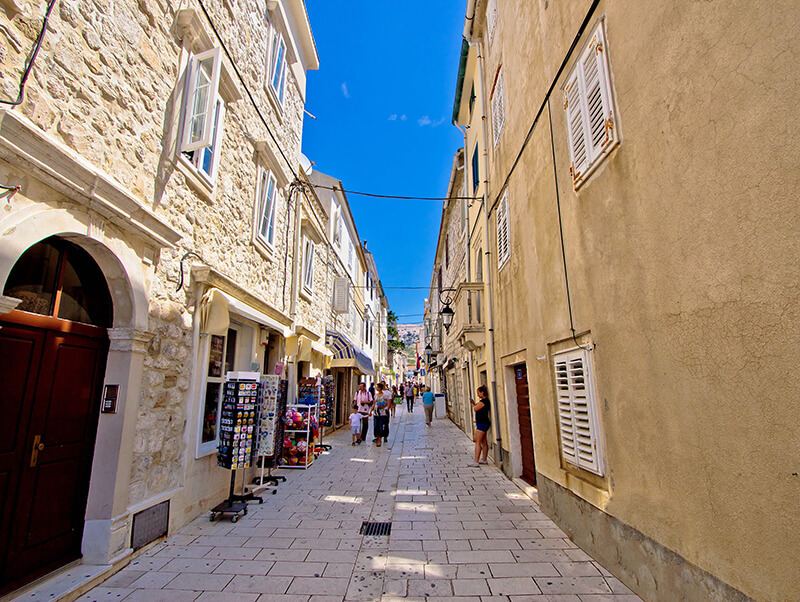 The narrow streets of Pag are rich with cultural heritage monuments, as well with shops offering traditional products and taverns where you can enjoy local specijalities. Town of Pag is associated with salt, which is produced in the salt works from ancient times – a document from 999 AD first mentiones the production of salt in Pag. Another traditional product of Pag is the Pag lace, which is, due to its uniqueness, listed on the UNESCO list of world cultural heritage. The ancient settlement, surrounded by hills on with numerous ruins and forts from ancient. Today, Kolan is famous for the production of cheese, and numerous traditional crafts. You can find out more about Kolan tradition in the local ethnographic collection, and nature lovers should definitely visit the Kolan mud, swamp area inhabited by a variety of birds which is therefore declared ornithological reserve. 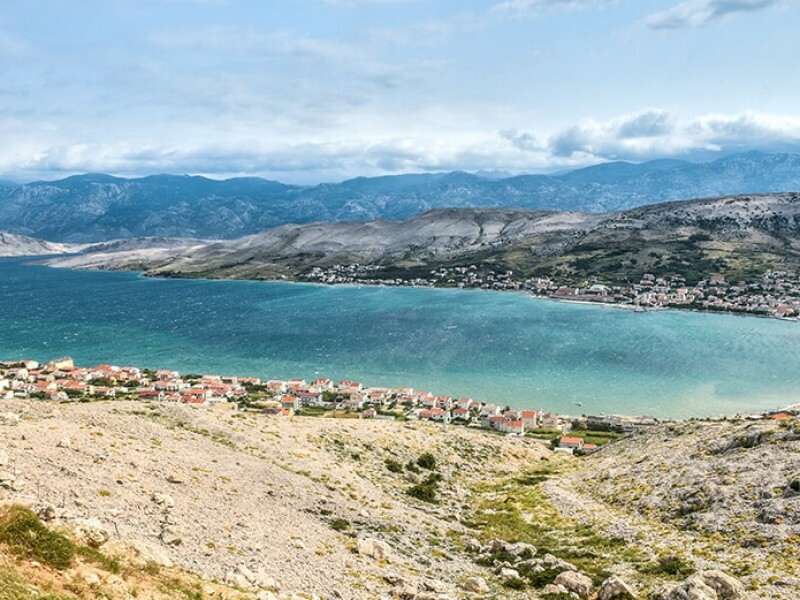 Lun is the northernmost settlement on the island of Pag and its traditions date back to ancient Liburni time. Today it is best known for its wild olive groves, and is thus one of only three places in the world where most of these trees grow. In Lun, olive oil production is a tradicion, with almost every resident and every family engaged. Near Luna is “kunfin”, a large and flat wall that used to serve as a boundary between the Rab and Zadar estates, and that today it “divides” the island into two parts. 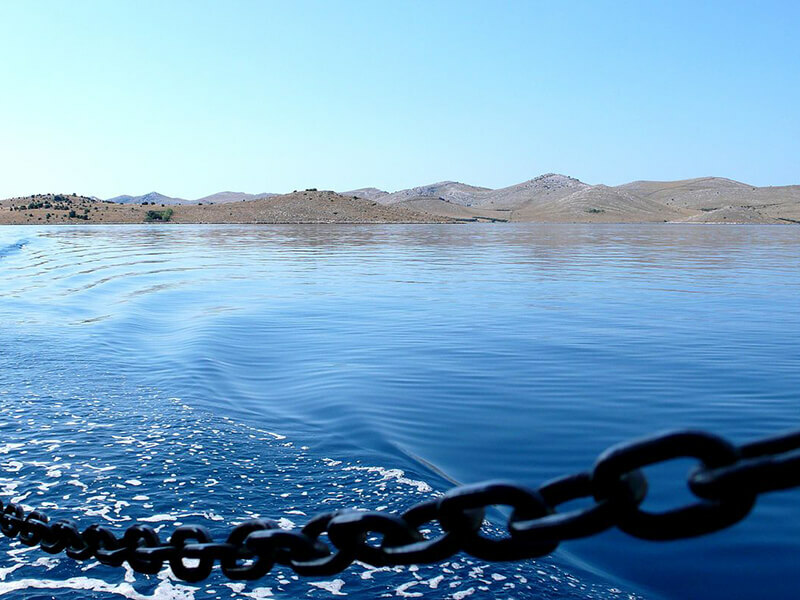 Rent one of our charter boats and explore all that Island of Pag has to offer!